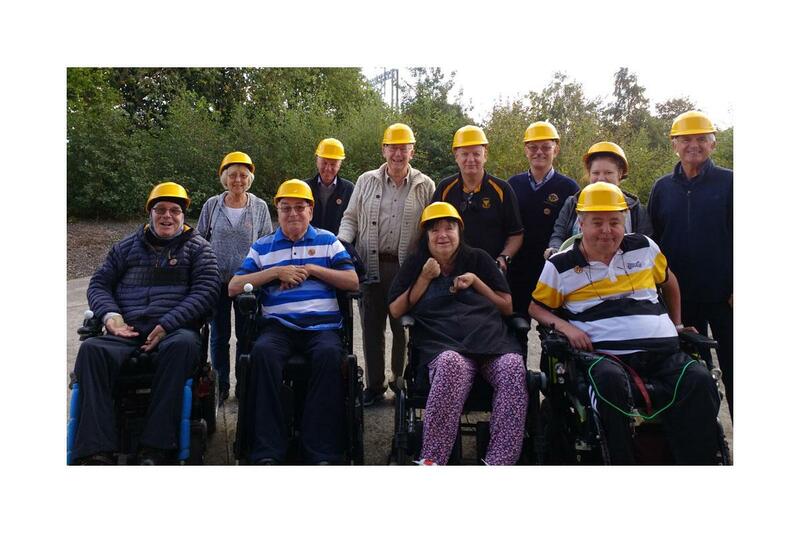 Residents of The Spinal Unit Action Group (SUAG) on Weld Rd, Southport, were treated to a visit to The World of Glass in St Helens this month, by The Rotary Club of Southport Links. SUAG was established in 1973 to support the patients and ex-patients of the North West regional Spinal Injuries Centre in Southport. They provide and maintain a long and short term residential home at 6 Weld Road Southport and run various social events for patients and their visitors at the Spinal Injury Centre on a monthly basis. The guests enjoyed their visit to this informative venue, on the site of Pilkington’s Glass works, and are pictured just before entering the furnace, to see the start of the glass making process, with their 2 nurses and members of the Rotary Club. Southport Links Rotary have a long association with SUAG, helping them build raised beds to help with their gardening and supplying a new TV for their lounge, in addition to days out such as this.